Now the “Powered by Ford” Cobra, easy on the eyes and capable of the impossible, had made history – as well as gained respect from the its foreign competitors. One of the most prestigious races in the world – “24 Hours of Le Mans,” had over 350,000 spectators in 1964. 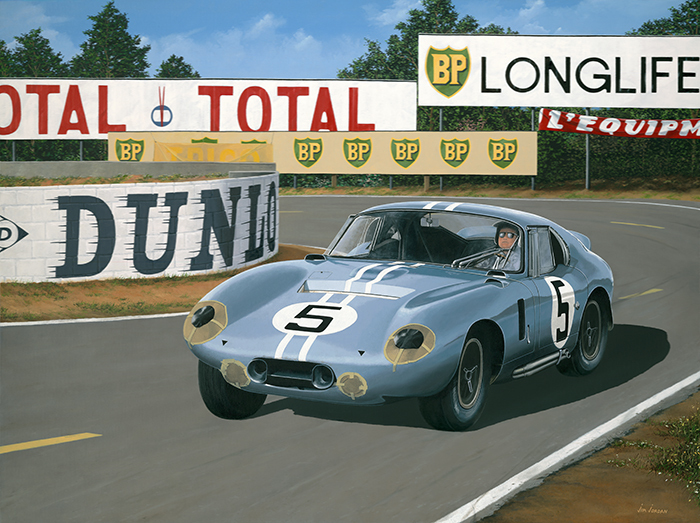 They all got to witness a first, some say “a miracle” : an American Cobra Daytona coupe wins the GT class over the odds favorite and past winners – the Ferrari team. the GT category and fourth overall, covering 2791 miles at an average speed of 121.5 mph.